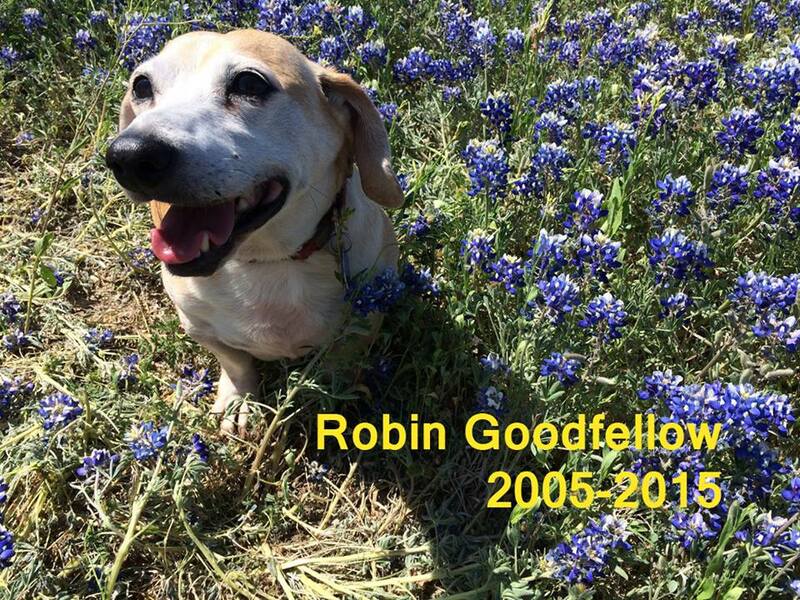 As the rest of the world mourns the loss of Uggie, that furry scene-stealer from The Artist, Austin is still grieving for the loss of its own canine superstar.Robin Goodfellow, one-half of the improv duoBuddy Daddy, passed away July 30, at the age of 10. 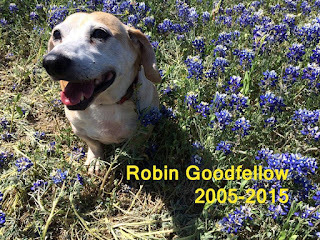 As noted by Buddy Daddy's human half, Arthur Simone, in an obituary on Facebook, Robin was "half beagle and half dachshund, and a preeminent member of the Austin Improv Collective since 2005." "I got Robin from the SPCA about a month after Hurricane Katrina," Simone told the Chronicle's Wayne Alan Brenner in a 2007 interview. "I sought out a supermellow critter, and I sure got it. If he weren't so pliant, I doubt I could ever do a show with him." A dare from fellow improviser and New Orleans expat Chris Trew prompted Simone to take the stage with his canine pal at the Hideout Theatre in 2006. What might have been a one-off stunt became an improv staple, thanks to Simone's skill, as Brenner put it, "at conjuring characters from thin air and bringing their personalities to vivid, often humorous life" while responding to the actions – or lack thereof – of his canine collaborator. "Goodfellow’s aloof and laconic characters over the years have included restless housewives, rocks and rock stars, the Phantom of the Opera, a submarine-with-periscope, spies, aliens, Hitler, a loaf of bread, tigers, and the new kid at school to name a few," noted Simone in his obit. "Unscripted performances with Simone as the comedy duo were usually accompanied by snacks, most notably cheese cubes." Buddy Daddy performed most often in Austin, appearing regularly at the Out of Bounds Comedy Festival, but the duo also toured with the comedy group ColdTowne to Arizona and Washington, D.C.; headlined the Twin Cities Improv Festival in 2011; and headlined a fundraiser in Shreveport, La., for rescue animals, for whom Robin had a special fondness, being a rescue pup himself. Robin's onstage success and appeal also led to work beyond Buddy Daddy: Buddy Mommy, with esteemed improviser Jill Bernard; a guest stint with local sketch troupe Hoover's Blanket; screen appearances on America’s Got Talent and at the Alamo Drafthouse playing Babe the Pig; and Dystheatre’s production of Robin Goodfellow’s Hamlet, in which he played the Ghost, "eating plenty of ham along the way," according to Simone. The response from the improv community was widespread and loving, with many improvisers recalling shows in which they watched or performed with Robin. "Magic" was a term used in more than one condolence. Dave Buckman called Robin "a Renaissance Dog," and John Ratliff said of him, "His emotional intelligence was acute, and he could read a room better than most people can." Those wishing to see some of Robin's work may do so on Simone's YouTube channel. In addition to his partner and friend Simone, Robin Goodfellow is survived by his friends Meg Holle and the black lab Mudcat, who ask that those wishing to honor their pal make memorial donations to theSPCA.